As a Partner with Calfee’s Real Estate practice, Karla Rogers's practice focuses on counseling publicly and privately held clients with respect to all aspects of real estate law and commercial finance law. She is experienced representing clients in property development, acquisitions, mergers, leasing and dispositions involving real property holdings. Karla enjoys getting to know her clients and their businesses in order to provide practical and creative solutions to their real estate, commercial and corporate law needs. She counsels clients in all aspects of real estate acquisitions and divestitures, including land assemblage, land use, zoning and permitting compliance and appeals. Karla works extensively on all real estate components of corporate acquisitions, mergers and divestitures. She counsels clients on title, survey and other real estate matters in connection with individual and multi-site acquisitions and sales. Karla is experienced in negotiating and drafting commercial, industrial and retail leases on behalf of both landlords and tenants. She also represents institutional lenders and public and privately held borrowers in connection with structuring, negotiating and drafting real estate financing agreements and facilitating secured financing transactions. 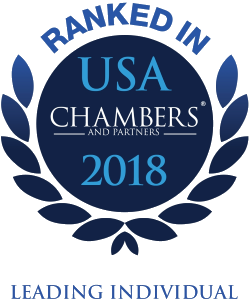 Karla has been named as one of "America’s Leading Lawyers" in Chambers USA for Real Estate, 2018, 2017, and 2016. Karla has extensive experience in representing public mining company clients in all aspects of mineral leasing and mineral acquisitions and divestitures. Karla serves as a member of Calfee’s Hiring Committee and is involved in Calfee’s mentoring program. Previously the director of governmental affairs for the Building Industry Association of Cleveland & Suburban Counties, Karla was also an associate with Taft, Stettinius & Hollister. Karla joined Calfee in 1998 and became a partner in 2009. Represented public mining company on a 3,000-acre mining lease in West Texas involving lease negotiations, site due diligence and project management. Represented joint venture in connection with entering into a development agreement with a local Ohio municipality and community improvement district for the remediation and development of a former governmental facility to a 100-acre mixed-use development. Represented joint venture involved in the acquisition, financing and development of a historic Cleveland downtown mixed-use project. Represented public mining company in connection with the acquisition and divestiture of multiple real estate holdings, mineral leases, and transloading leases throughout the U.S. Represented public mining company in connection with the lease of 320 acres of real property in Oklahoma for strategic mining operations. Represented several Northeast Ohio private equity funds in connection with multiple corporate acquisitions, divestitures and leasing involving real estate holdings throughout the U.S.
She has also spoken at numerous Ohio State Bar Association seminars involving commercial real estate law topics.